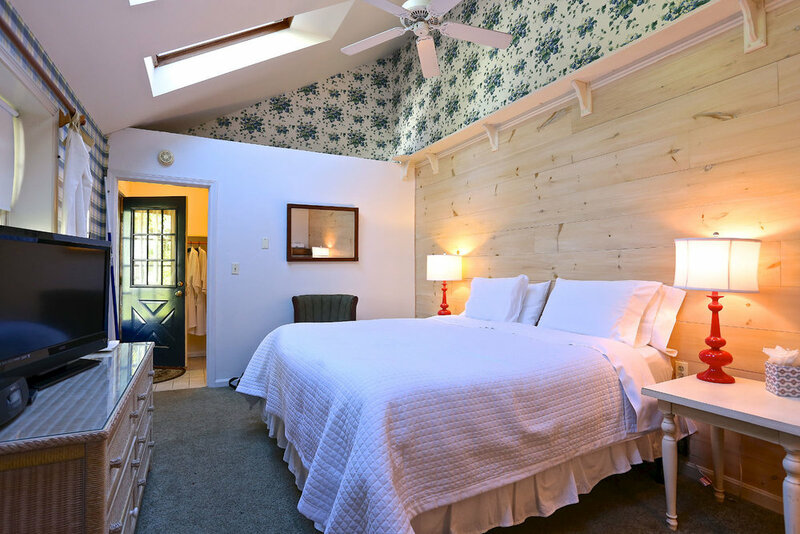 The Coastal Garden is a deluxe, ground floor king room located in the ell of the renovated post and beam barn of the Windward House Inn. This room, originally a chicken coop, is nestled quietly, among the backyard garden path and has a private entrance, separate from the main Inn. A unique feature of this room is its high ceilings adorned with multiple skylights, providing plenty of natural light. There is a refrigerator and gas fireplace in this garden hideaway! You can even follow the garden path from this room directly to the hiking trail of Mt. Battie. The en-suite bathroom features a standard tub and shower.